For a long time I drove up standard Mazda MX3. I really enjoy driving this car, but back in November it started become too difficult for me to operate. It was very low to the ground, manual transmission and none of the creature comforts such as power windows. Not to mention that living in Montréal one also has to contend with a fair bit of snow in the winter. 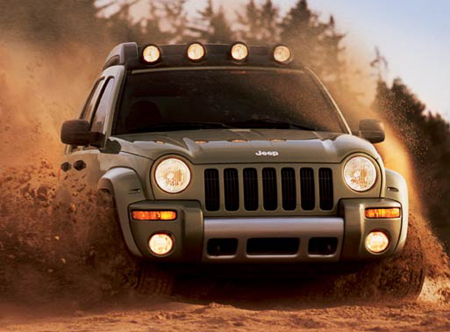 So I sold this car and bought in 2004 Jeep liberty Rocky Mountain edition. The logic in choosing a Jeep was because it had an elevated suspension and four-wheel drive so I wouldn't have to dig it out in the winter. Ideally, put it in four-wheel drive and go. I'm really pleased with the purchase of the Jeep, meets my needs very well. I find it much easier to get in and out of, and the interior has a number of features which are surprisingly adapted for my needs. Simple things like the shape of the inside door handle (it's a big ring) and how much easier it is to operate things like the temperature controls. I also really lucked out in finding the Rocky Mountain edition, it has all the additional features. Power locks, power windows, automatic transmission, air conditioning etc. As an added bonus the previous owner even installed an alarm system with a remote starter… This is really great! Over the last month or so it started to become very difficult for me to put the Jeep in gear from Park. The shifter has a button on it that needs to be raised to unlock it from the park position to go to reverse or drive. I've had some changes in my hands which makes lifting this button very difficult, in short my fingers just slip off the button. We are presently waiting for the request for modification to go through, however in the meantime I still need to drive to make my appointment setting generally get from point A to point B. So as a temporary solution my father came up with this. Using a latch from the gate, a zap strap and a couple rubber bands we've managed to extend a lever from the shifter button which makes it very easy for me. The idea is that the zap strap secures the latch and provides the pivot point, the rubber bands not only help keep it in place to provide an additional tension to help me lift the button and return the latch to its proper position. Now there are just a few issues with this, mostly because it is a temporary solution. The first is that sometimes the latch needs to be repositioned. After seeing a week or so of use, it sometimes wiggles a little bit out of position. As long as it doesn't pop out of the zap strap, this is no big deal. The second is that the rubber bands sometimes help maintain just a little too much tension on lifting the button. This means that when the vehicle is put in Park, the key is not released from the ignition. I simply have to remember to push the lead back down a bit… Again no big deal. The disability that comes with ALS can very much impair your ability to operate a motor vehicle and how quickly this comes on is different for everyone. Please remember, you may have been driving for years and are very experienced, but it is a privilege and not a right. If you are unsafe behind the wheel, please do what's right. 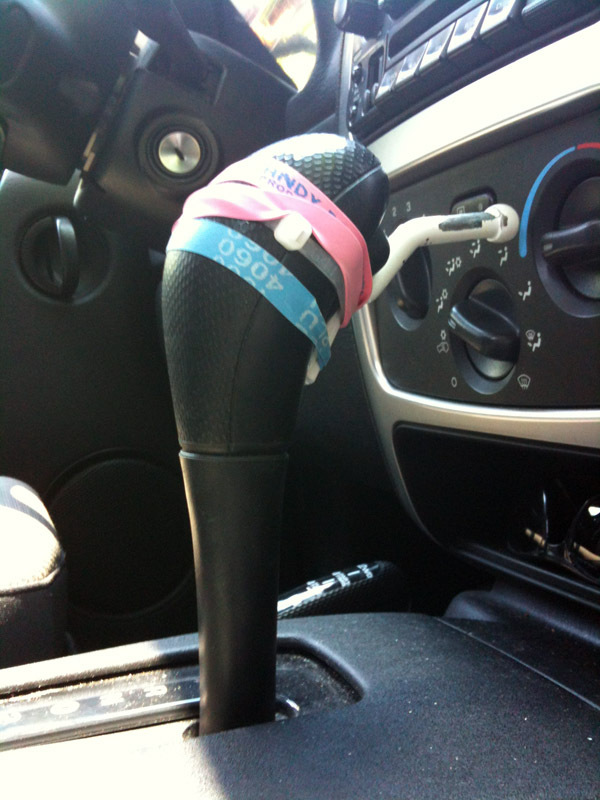 I exercise a high degree of caution while driving and have already modified not only my driving habits but destinations. I choose to no longer drive on the highway nor for long distances as I feel if I were to do so this would pose a safety hazard not only for myself but others. Also, the instant I begin to feel unsafe behind the wheel will also be the day I willingly give up my driving license. I strongly encourage you to exercise the same degree of discretion.